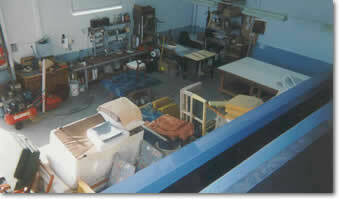 Cover It Upholstery was established in December 1998. 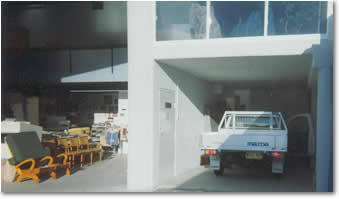 Our tradesmen are fully qualified and experienced, Marcel himself having been in the trade since January 1989. Cover It Upholstery has vast experience in all manner of upholstery work, ranging from traditional applications such as diamond buttoning and spring edge work, to the more modern styles of today. Our work ethic and dedication to quality and personalised service is the main differentiator between us and our competitors. We don’t just re-cover, but just like you would paint a house: first make sure everything underneath is sound. Which, in the case of furniture also means structurally. We make sure of this by taking such steps as over- locking all cushioning when required and contend to using only the highest quality materials such as Dunlop Enduro foam, quality webbing, springs, hessian, piping cord etc. and of course carry out any necessary repairs to ensure your furniture will be returned to you as though it were new. We wish to provide you with the most convenient service. Therefore we come to you and bring a large variety of fabrics, leather or vinyl to choose from, and we can assist with colour- and any other advice, or options, you may require. However, if you would like to see the full range of fabrics available, we suggest you visit any of our fabric suppliers’ showrooms (see links page), where their staff will be more than happy to assist you with your fabric selection. At Cover It Upholstery we strive to achieve the highest quality workmanship at all times, therefore it is with confidence that we are able to offer a 10 year conditional guarantee. Cover It Upholstery Sydney has proudly serviced customers throughout the Sydney Metropolitan area since its inception in 1998. We have greatly enjoyed working on some very interesting projects and hope to do so for many more years. Our work ranges from restoring antique upholstered furniture, traditional furniture from the 1920's to 1950's, Retro furniture and all types of modern furniture. If you choose Cover It Upholstery to help you with your furniture restoration and recover project you will be choosing an upholstery business that takes pride in the work they do. We make sure that every client is 100% happy with the furniture that we are entrusted to work on, and understand that furniture is a very important part of any household and often also has great sentimental value. If you have a commercial project, we can also help you with that and no job is too big for us. You will be guaranteed on-time and hassle-free delivery. We will make sure that you or your client will be completely satisfied with the result. Choose Cover It Upholstery Sydney as your complete upholstery service!